Upon payment, your application is submitted to the appropriate registry and secured by easyDNS. You can check easyWHOIS to confirm the registration. Be mindful that it can take a few hours for the Whois database to reload and reflect the new registration. By the end of the 5th day of registration the domain name cannot be revoked or deleted from the domain registry. During the first 60 days, all domain registrations are non-transferrable due to a registry lock. After 60 days have passed, you can transfer your domain name to any ICANN accredited Registrar. 60 days before the domain’s expiry date, easyDNS starts to send out e-mail notices to all distinct contacts for your domain. Notices continue at 30 days and 5 days before the expiry date. One year after the domain was registered it will expire and enter into a 40 day grace period. The domain name will stop resolving and the delegated nameservers will be removed suspending ALL DNS service – this includes forwarding and e-mail service. The 40-day grace period does allow for renewal payment to be made without any extra charges. Please be advised that domain redemption may not be available for all domain names! Many ccTLDs do not support redemption periods and the domain will be made publicly available around this time. After the 40 day grace period the domain name is deleted from easyDNS’ registration database. The domain registry will provide an additional 30-day redemption period. During the redemption period the domain owner can have their domain name redeemed by paying a $125.00 USD redemption fee in addition to the cost of a one year service renewal. The redemption fee does not include the renewal costs for the domain. It should be noted that some domain registry’s charge a higher redemption fee. 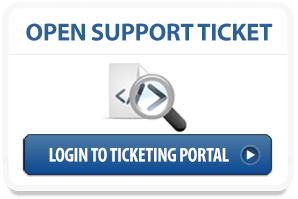 Please contact our support team for assistance. During redemption, you may notice the domain’s expiration date in WHOIS lookups has moved ahead one year in the registry database. This is a temporary auto renewal at the registry and does NOT reflect the true expiry date. 70 days after expiration the redemption period ends. The domain name will be placed in a “Pending Delete” status at the registry for up to five days. During this time, it is not possible to redeem or recover the domain name. After the five day Pending Delete period, the domain will be deleted from the registry. At this point, the domain will be available to the general public for new registration. Unfortunately, easyDNS are not notified about the exact time the domain will be made available. You can check easyWHOIS for when it’s publicly available for re-registration. easyDNS does not provide queued registration or drop catching services. Your domain can be renewed at any time prior to it’s expiry date. Add Grace Period – 5 days – The cycle begins once you register your .CA domain. The domain is fully registered and responds as a domain in the registered state would. During this period Registrars have the ability to cancel the domain name if an error has been made. Registration Period – 1-10 years – The domains can be registered anywhere from 1-10 years and can be renewed anytime prior to it’s expiry date. Transfer Lock Removed – at 65 days – For the first 65 days of a .CA domain’s registration, it cannot be transferred between registrars. After this period has lapsed, then you can transfer the registration of your .CA domain to another CIRA certified registrar. Auto-Renew Grace – 45 days – Once your .CA is auto-renewed, there is a 45 day Auto-Renew Grace Period. The DNS service will be suspended during this time. You can renew your .CA domain during this period without any additional fees. The domain’s nameservers [and service] will be reinstated to active within an hour or two when the CIRA rootservers re-load. Redemption – 30 days – Once deleted, the .CA enters a 30-day Redemption Grace Period. You can still renew your domain name and easyDNS does NOT charge a fee for .CA redemption domains. After a successful registrar transfer, the .CA registry prohibits any changes from taking place for a 60 day period. The status of ‘serverTransferProhibited’ is put in place for those 60 days and cannot be adjusted. easyDNS can set up a TBR [Drop List] request if you wish to get a .CA domain before it goes public. We need this request to be sent to support@easydns.com. We do charge a fee of $50CDN. Pending Delete – Domain names not claimed during a given TBR session are transferred to the registry for deletion. Domain names transferred from TBR to the registry enter a lifecycle stage referred to as Pending Delete which lasts for 24 hours. After this 24 hour period, the domain names are deleted in the registry and become available for re-registration. Your .CA domain can be renewed at any time prior to it’s expiry date. CIRA allows registration of .CA’s with French characters [for IDN’s – Internationalised Domain Name]. .CA’s with French characters sharing the same base are considered variants of each other and form an “administrative bundle”. Example, çira.ca and cirà.ca are variants of (cira.ca) and are part of an administrative bundle. Only one variant in the administrative bundle needs to be registered, all other unregistered variants will be reserved for the Registrant. Each variant must be registered and paid for separately using the same Registrar and Registrant and has its own life cycle. .CA domains can be deleted prior to their expiration date. This would require the registrant to send an e-mail to easyDNS staff [or click on ‘easydoes.it’ from within their members account]. As of February 2015, CIRA is now permitting domain deletions anytime during the registration period. The deletion will result in the domain being put into Redemption Period for 30 days before being set to TBR status.